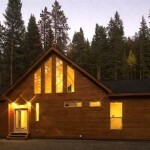 One of our favorite prefab home designers, Blu Homes, just completed a home in Colorado at the beginning of the October. 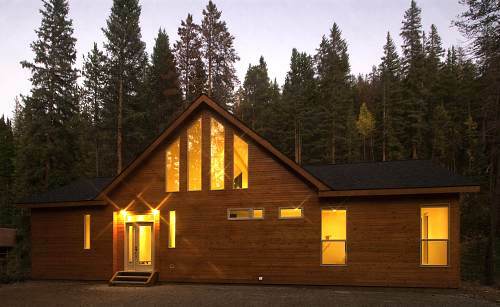 The Fischer Chalet, a modern green prefab home in Breckenridge, Colorado, is a perfect example of what Blu Homes is capable of. While designed as a custom home built with the Colorado climate in mind, the plans for this home will be standard Blu design by mid 2010. The Blu Chalet combines a simple and practical floor plan, with sustainable materials, lots of natural lighting and energy efficient design. Michael and Nikki Fischer had dreams for a modern prefab and eco-friendly home, but thought it would never be possible or be in their budget. Somewhere along the line they heard about Blu Homes and met with VP, Maura McCarthy, and fell in love with their design and building process and their eco-friendly designs. The Fischers describe the house as “open, modern, simple, clean.” At 1,700 square feet, this modest home cost about 20-30% more than one of the standard Blu Homes designs currently available, which generally cost anywhere from $75,000-$350,000. The open, spacious and efficient layout makes it possible to have such a reasonable sized home and still allow the Fischers to feel like they have a lot of space. Custom home design with Blu Homes takes roughly 4-6 weeks to complete, and then the home is built in a factory, where the builders can ensure proper and efficient installation of all the components. 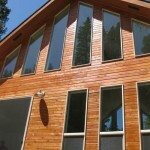 Manufacturing is also roughly a 4-6 week process for a standard home. 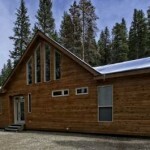 The frame of the home is a combination of wood and recycled steel framing, insulated to R-45 with spray foam insulation. 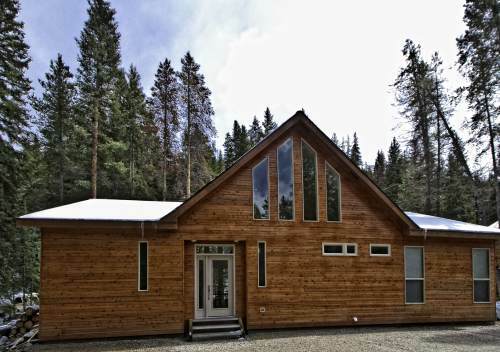 Efficient low-e windows and an R-40 roof make the home very tight and energy efficient. Once the land is cleared and site is ready, the home is shipped to the site and goes up very quickly, almost too quickly for the Fischers, who were surprised at how fast the home came together. 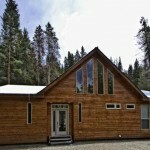 The home is characterized by a traditional mountain and cabin looking exterior clad in modern cedar v-groove siding. Although it is a very modern house, the classic wood exterior helps it blend in with the surrounding log cabin homes in the neighborhood. Tall windows and a raised ceiling give the home a very spacious and bright interior. 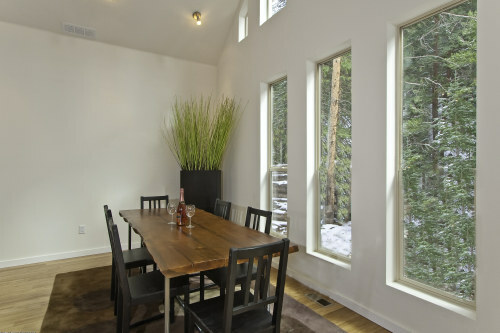 The natural daylighting from the multiple windows help lower energy use for lighting, which is already low because the interior lights are LEDs. 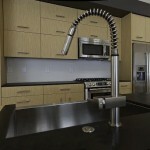 The foundation is made from pre-cast concrete and foam, and a high efficiency furnace supplies the heating. 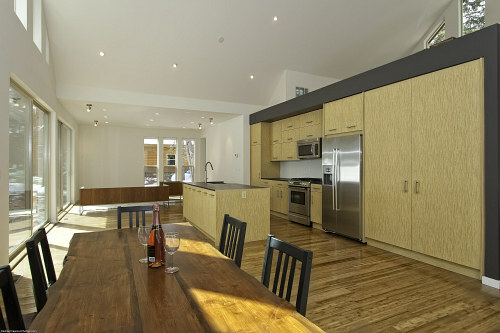 Inside, cabinetry is built out of completely non-toxic materials by EcoUrban, all appliances are ENERGY STAR by Bosch and Whirlpool, Kohler low-flow water fixtures, and the flooring is bamboo. “Blu allowed us to build our dream home, one that embraces the beautiful natural surroundings and preserves the environment, at an affordable price,” said Michael Fischer, Blu homeowner. 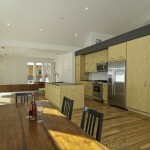 “The Blu team was remarkably professional and easy to work with and their cutting-edge technology allowed us to ‘interact’ with the home from initial concepts through completion, making the whole process smooth and easy.” Since therecent acquisition of Michelle Kaufman designs, Blu Homes currently has nearly 50 homes in use. Check out this great video of the Fischer Chalet, which gives a tour of the home and shows some of the manufacturing process.